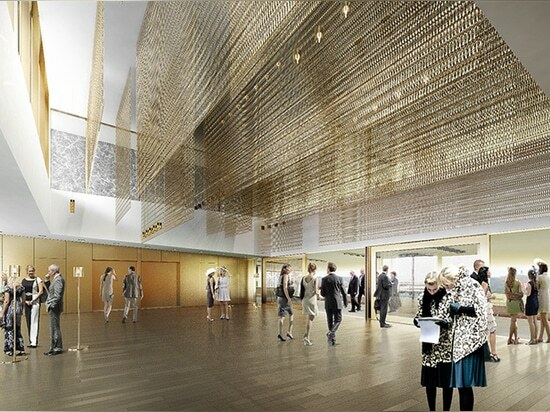 paris’ longchamp racecourse has closed its doors to the public as major renovations are carried out at the famed venue. 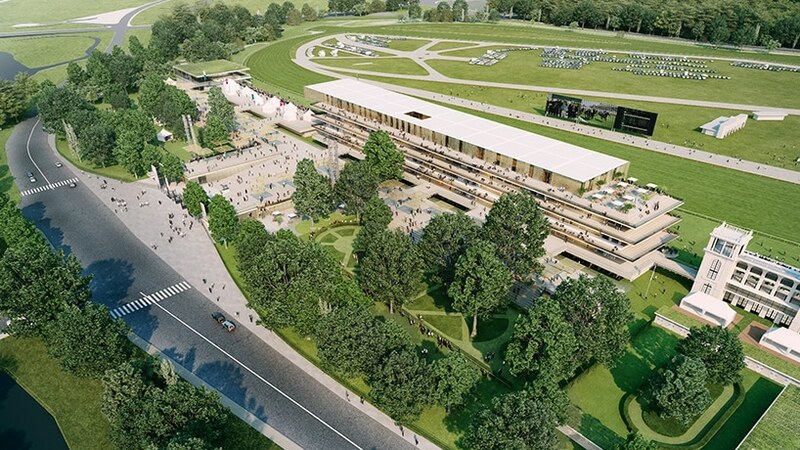 the overhaul, which will take nearly two years to complete, is being overseen by acclaimed french architect dominique perrault who won a competition to complete the masterplan back in 2011. perrault’s plan takes the form of a landscape project that transforms the entire area, highlighting the legacy of its built environment as well as the racecourse’s historical heritage. 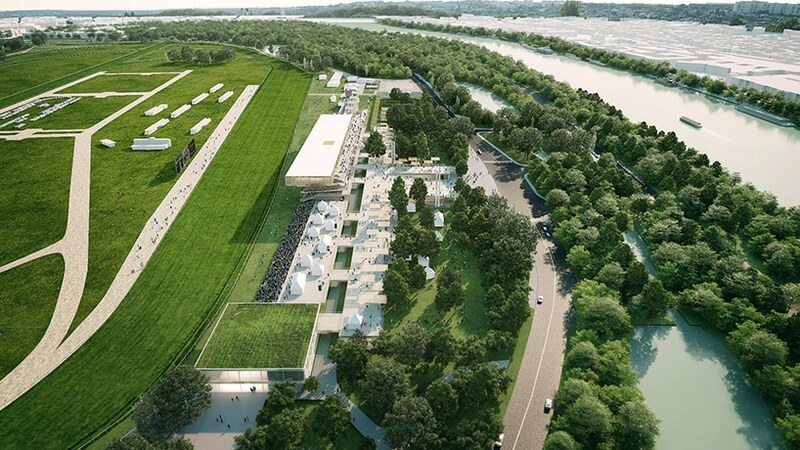 the renewal of the course and its facilities will ensure that longchamp maintains its status as one of the world’s most revered horse racing destinations. 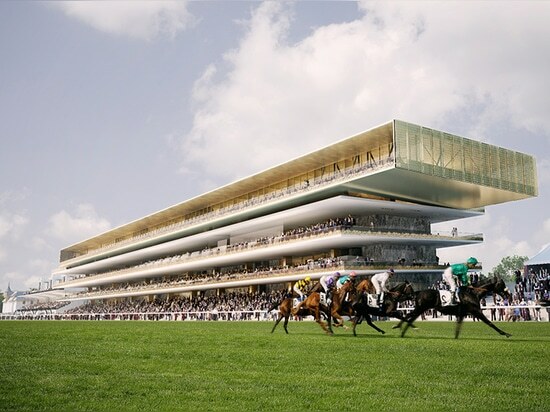 each year, longchamp hosts the prestigious prix de l’arc de triomphe — one of europe’s most attended horse races. 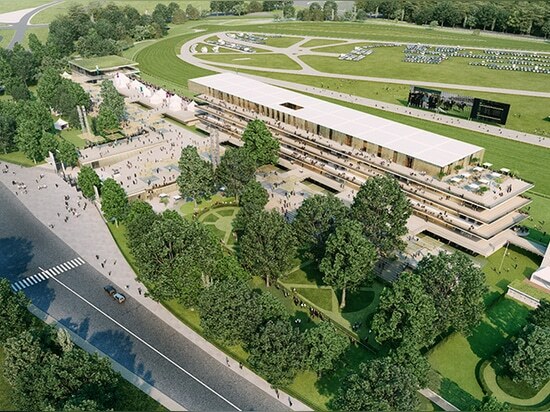 the main challenge for the design team was to develop a scheme that could accommodate up to 60,000 spectators, while also welcoming smaller crowds on ordinary race days. 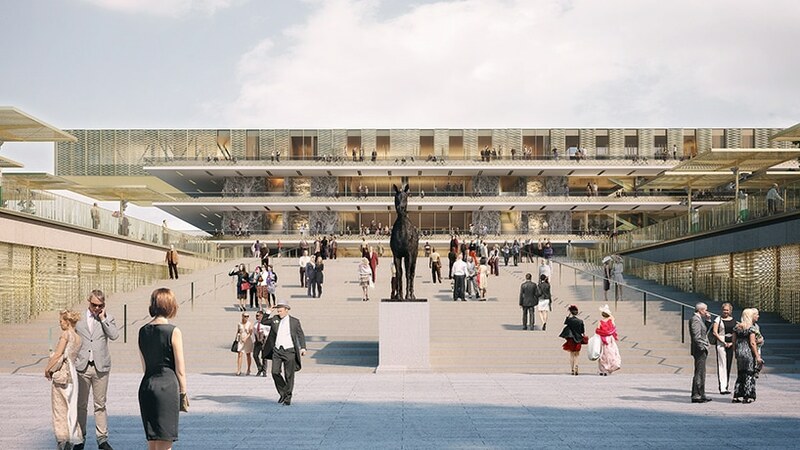 consequently, the project proposes to remove all the stands dating from the 1960s, replacing them with a single grandstand that is more compact and functional. 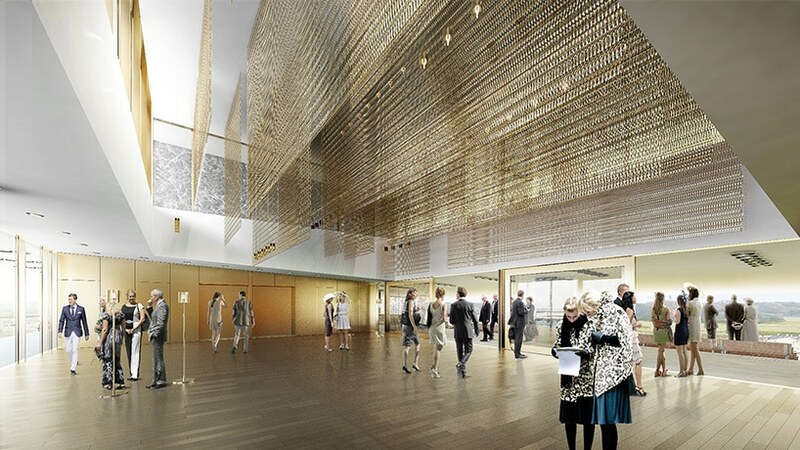 buildings that house support services — which are currently scattered around the site — will be demolished and rebuilt in the form of pavilions, while the site’s historic structures will also undergo renovation. 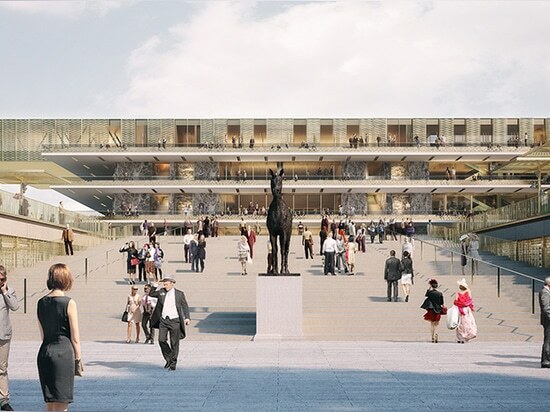 ‘the architecture of the stand is in motion, like a galloping horse,’ explains dominique perrault. 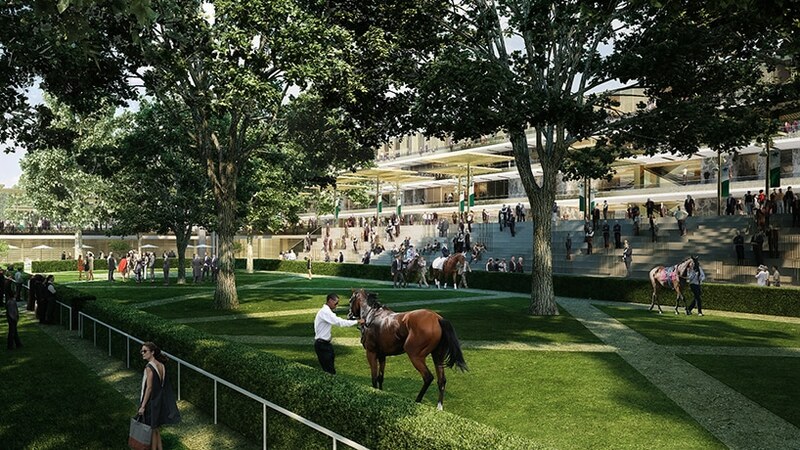 ‘a slight overhang orients the interplay of superimposed stands toward the finish line.’ terraces, walkways, and open staircases provide permanent views of the entire racecourse, as well as privileged views of the parade ring below. 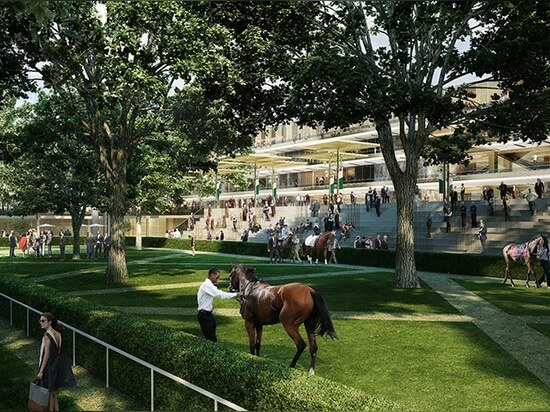 the grandstand is formed of transparent ‘shelves’ that enable spectators to view both the racecourse to the east and the stables to the west. 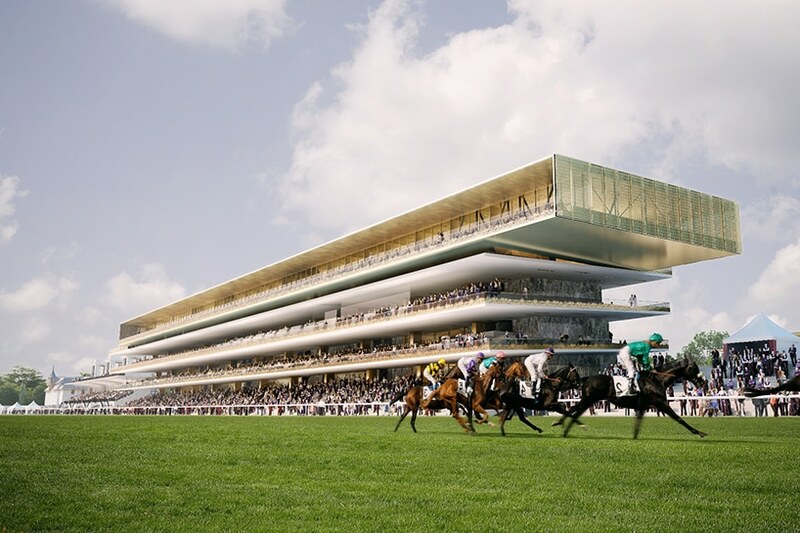 by reducing the size of the existing grandstand, the pared-down design is able to create more generous perspectives across the landscape. 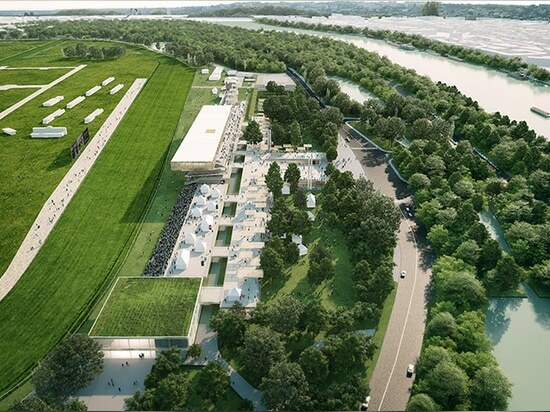 the renovated longchamp racecourse will be inaugurated in october 2017 in time to welcome the annual prix de l’arc de triomphe.